Season the chicken wings with your favorite chicken rub. Almost any rub with high salt content will go great with chicken, so you have a lot of freedom in this choice! Place the wings in the refrigerator for about an hour prior to cooking, to let the spices set in on the chicken. Preheat your smoker to 275°F. Place the chicken wings directly on the grate, to allow for even cooking all the way through the wings. You can add a roasting pan with either water or chicken broth to keep the environment moist inside the cooker. Cook for 40 minutes, then flip the wings over and apply another coating of rub. Cook for another 40 minutes, or until they reach an internal temperature of about 165°F. For the final step, “flash fry” the chicken wings (for 1 minute) in 350°F peanut oil. This will crisp up the skin perfectly! 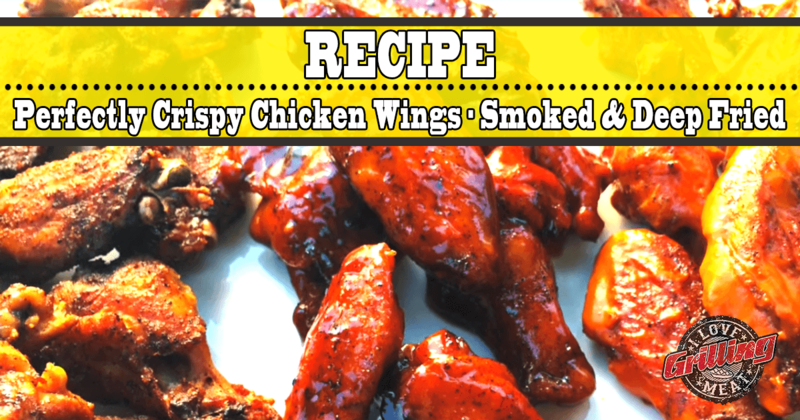 Now just toss the wings in your favorite sauce, or eat them as they are!